As we tell our nieces and nephews, goals are important in all areas of our life – they show us where we are going and give us the motivation to keep moving forward toward the things we really want to achieve in life. As a Savvy Auntie, do you have money goals? Do you know how much you are earning now and what you want to be earning in a few years time, or where you want to be financially in a few years time? Money goals are just as important as all the other goals we set for our lives. One of the first money goals that many people need to set today is to get out of debt. In order to get out of debt, determine how much money you earn, how much money you owe, and how soon you can pay off this debt. Set a specific timeline in order to achieve this goal. We often land in debt through spending on things we do not really need or else spending too much on the things we do need. 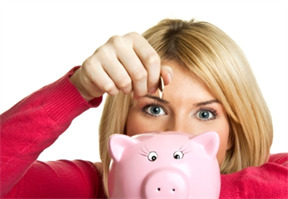 See where you can cut costs and put more money toward paying off debt. Once you are out of debt, you will have more money to save for those things that are truly important to you. What do you want to save towards? When do you want to achieve this? You may choose to save towards a new car, a new house with a guest room for when your nieces and nephews come to visit, or even helping to finance your nieces’ and nephews’ college education, or anything else requiring more money than you currently have available. Set specific dates by which you plan to achieve these goals. If you do not yet have an emergency fund, determine how much money you want to have in your emergency fund and a timeline in order to achieve this. An emergency fund is an important way to protect yourself against unforeseen circumstances and to get by if things do one day go wrong and you are not earning sufficient income. In addition to setting goals for saving or spending your money, set goals regarding how much you would like to be earning. Compare how much you are currently earning and what you would like to be earning a few years from now. Consider how you can achieve these earning goals. For example, you may need to take additional courses in order to improve your value to the company, or find a higher paying job. You may want to start your own business and work on marketing it to increase your income. However you go about making money, have goals in this area and then work on achieving them. Getting out of debt, establishing savings and emergency funds, and setting earnings goals are important money goals you can set for your life. By setting money goals you can achieve more and do the things that you really want to do in life. I am sure that to be successful and financially secure we should set ourselves money goals.Money like counting and planning,so if you have take care of your budget then you have more chances to have a good financial life.Very important to avoid making unhealthy debts and being responsible about applying for cash loans with instant approval and borrowing money.Saving money is an important step to a financial success, I think such option like writing off your expences can help you see what takes out money of your wallet and will allows you to decide what spendings are necessary, for example paying off bills, and things that are unnecessary to spend money on right now.Creating and emergency fund is also a very useful option because you never know what happen tommorow, but if you have money in yoir emergency fund you feel more secure.